Greetings from this long summer day! Taking some time off planning weddings has really given me a chance to reflect on all my experiences with this past season’s couples. 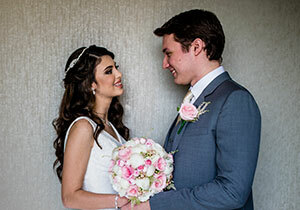 Looking back on the differences between what was important to every one of them, helps me work out what future couples need advice on with the wedding planning process. I’ve decided to discuss something that I find most couples in the Middle East do not get enough insight on from planners: The Wedding Cake! Why is the cake such an important element? What are the general prices of cakes in the UAE and what do they depend on? Are there any rules or etiquette guidelines on how to serve it? What is the best way to store the cake? To help me address the topic and frequently asked questions, I have asked The Gourmelicious Girls to provide me with their insight on questions that could be on your mind. Wedding cakes, in various forms, have been used to carry out customary blessings of good fortune across so many cultures. Whether it be the English Medieval version of stacking pies on top of one another, the breaking of the cake on the bride in Ancient Roman history, the cake in all its various forms, served a purpose in sealing the bond between two people. The idea has been passed down and evolved into what we know as the cake cutting ceremony. To the conventional bride who dreams of a fairytale romance, or the modern day minimalist who believes in everything personal and relaxed, a wedding cake should be a main focus point and hugely complimentary to the theme of the wedding as it symbolises good luck. Here is more on what the lovely girls had to say about the concerns couples have when it comes to the wedding cake. 1. How are cakes generally priced in the UAE? All bakeries, and cake designers price according to design. Most local bakeries in the UAE, price per kg, as they consider the amount of cake they sell, and so they price according to the cake weight. We price per serving, because each cake or tier has a calculated number of servings to ensure you serve all your guests, if necessary. 2. 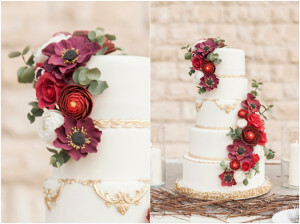 How do I start picking my wedding cake? Start by setting your wedding theme, decor color palette, patterns, flowers etc. 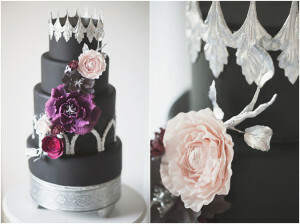 Consult your planner and ask for a moodboard, and share all of the information with your cake designer. Every Cake Designer has his/her own style, and signature designs that they are usually known for. You should research and pick the designer that suits your taste- keeping in mind their work and reputation. If you are the kind of bride that is not fussy about your wedding cake, and would rather have a copy of a design you absolutely love on the internet, then its best to contact a local bakery who can implement this for you. Cake designers will prefer to create something more bespoke, which is what we thrive on. Remember to always visit your designer in person and book at least one cake tasting. 3. Should the cake be completely edible, or fake? It all depends on if you plan to serve all your guests from the wedding cake. If that isn’t the case, then you should probably order a fake version. The price of a real cake is more than that of a fake, but keep in mind you’re still paying for design work, and sugar covering. If you have a small budget you should probably go for a small wedding cake. Another great alternative is to ask your cake designer about having the cake being fake, and having plain sheet cakes for servings as the cost of these would be much less. We always remind our couples, the price of a cake is usually determined by the cake design and number of servings. The more detailed the design work, the higher the price per serving. 4. How much cake do I need to serve my guests? We follow a serving chart in which every cake size is divided into serving portions of 1×2 inches. This gives the bride a great idea of the number of tiers she needs in order to serve her guests. 5. How do I store my leftover cake? If you’re following the tradition of freezing the top tier for your anniversary, it must be firmly wrapped and placed in an air tight container. If you’re planning to keep some cake in your fridge, remember, it must always be very well covered, otherwise it will dry out much faster. Also, consume the cake that is in the fridge within one week. Cake should always be served at room temperature. If you have any further questions for these amazing girls, feel free to email me directly on mennat@cloudnineme.com and I will be more than happy to address them with your questions!